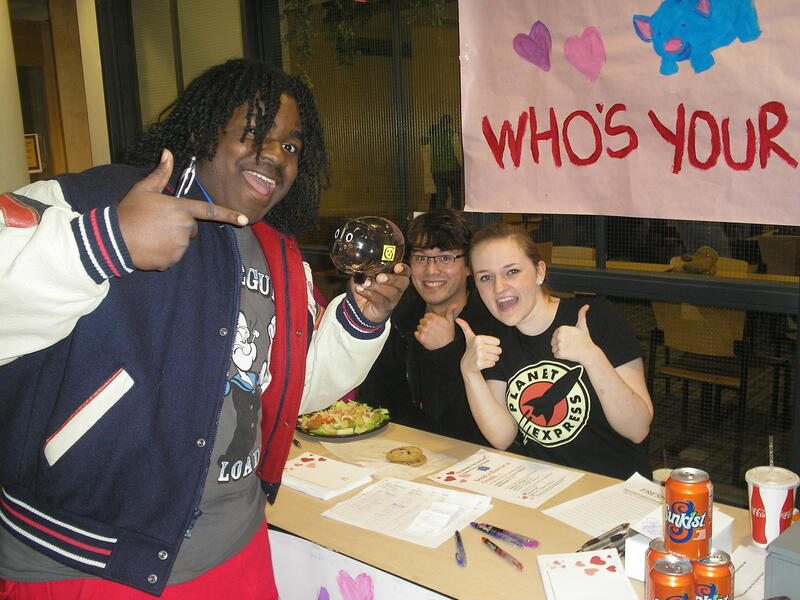 In the spirit of Valentine’s Day, the Gustavus Annual Fund hosted an event on February 10, 11, and 14 to promote student philanthropy on campus and to raise awareness about the Gustavus Annual Fund among our student community. Students could anonymously send a can of Crush or Sunkist and a valentine to another student by giving a gift to the Annual Fund. On the final day of the event, those who received valentines had the opportunity to give a gift to discover who sent them an anonymous valentine. Over seventy Crush valentines were sent from fifty-two donors. This was the second in a series of three events drawing student awareness and garnering support for the Annual Fund. The Current Student Philanthropy program, initiated this year, is an effort to educate students and grow a culture of giving that becomes an integral part of what it means to be a Gustie.